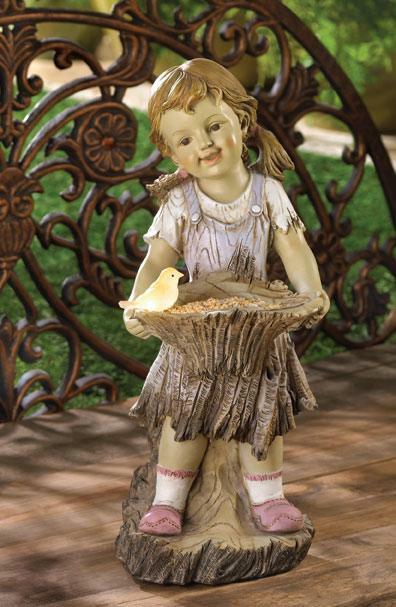 Beautifully detailed this sweet summertime solar statue features a girl statue carrying a basket with her friendly feathered companion getting ready to gather a summer bouquet. 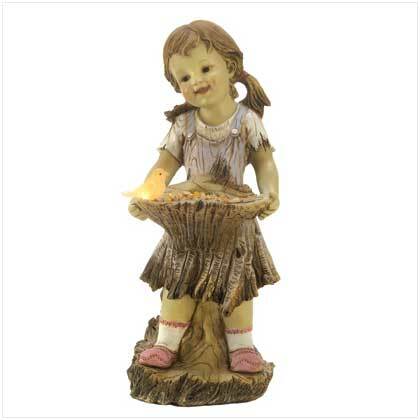 This solar garden statue resembles hand carved wood with a special hidden solar light in the bird that provides a lovely glow at night. The solar panel collect sunlight during the day to charge the rechargeable battery, providing hours of enjoyment at night. Great addition to your garden, patio or any outdoor area.